Adult Sail covers sailing, classes, paddle sports and more! Regatta Point offers a flat fee membership that covers sailing, sailing classes, paddle sports, group lessons, access at different locations and guest privileges. 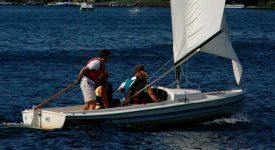 Our all access memberships include sailing, sailing lessons, paddling, paddling lessons, access to other sites, and guest privileges to the boats capacity. Unplug, unwind and reconnect! Nothing builds life long memories while spending time together-in a sailboat! 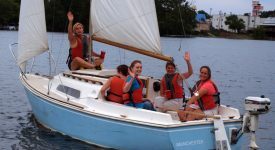 Our group lessons are a great way to have fun with new people while learning to sail. One of our more popular activities for adventure seekers. No racing experience is needed to join the fun! 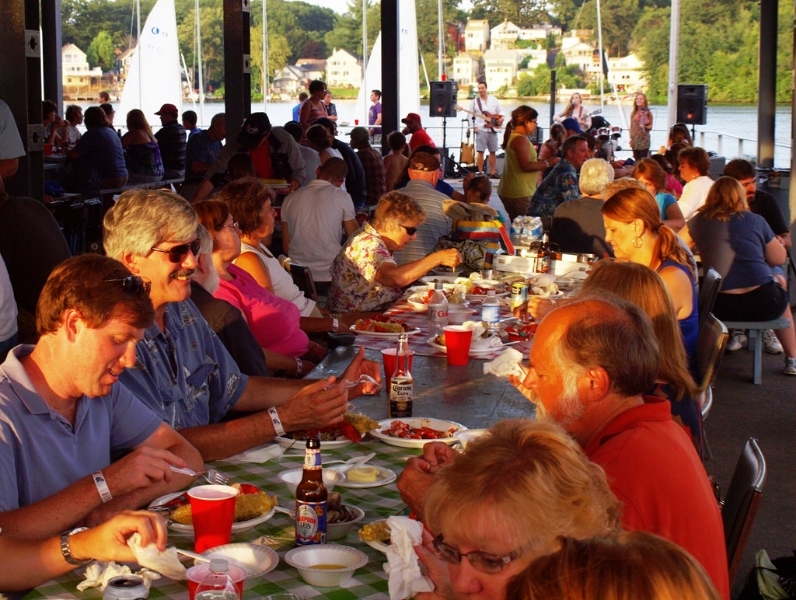 In addition to having a great time on the water, our family and adult membership also includes access to fun social events all season long. 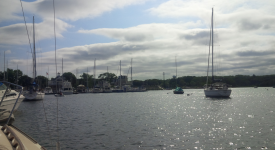 If you are new to sailing start with one of the beginner I sailing lessons. 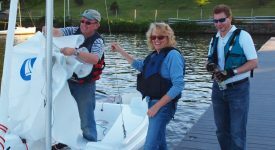 You are taught basic sailing skills by a highly qualified staff that is overseen by our US Sailing certified instructors. The classes include on-the-water and on-shore training. Be prepared to set sail on the first day! Topics include: rigging, knots, sailing theory, and boating safety. Regatta Point is a US Sailing certified facility, so the rating you earn here and transfers elsewhere. Sailors earn ratings by taking classes and passing certifications that enable guest privileges, access to equipment, sail a larger portion of the lake (including the south end) and take out high performance boats. As you earn different levels, US Sailing will issue you national certification. Been awhile since you were on the water? Take a refresher class. An old salt? Bring your certification from another organization or do a quick checkout and you’ll be on the water in no time.